Rubber Room Ramblings: STAMPIN' UP'S! 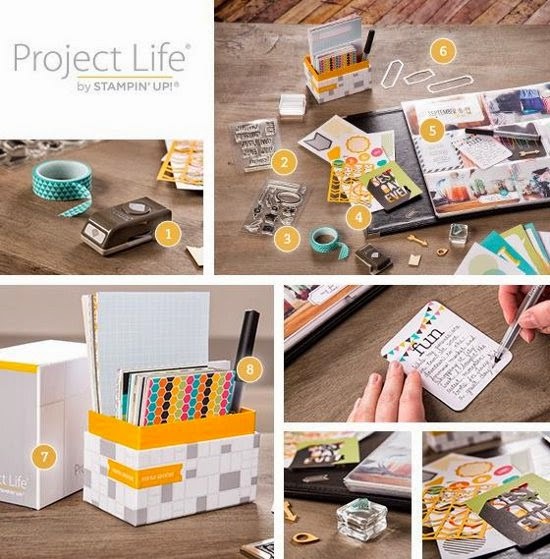 PROJECT LIFE IS NOW AVAILABLE! Today is the big day when you can order the new Project Life scrapbooking products,and they are so wonderful. Here are the two pages I designed today. My demo friend Nancy came over and we had tons of fun pulling out our photos and scrapbooking them. Project Life is super quick and easy, especially with all the coordinating products Stampin' Up! offers. Watch the short video HERE and see just how easy scrapbooking is now! You can order these Project Life products HERE!